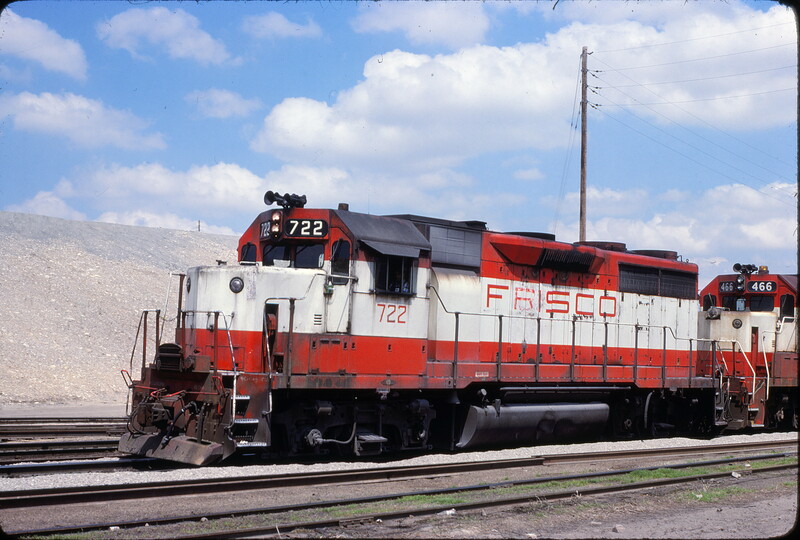 GP35 2561 (Frisco 711) at McBride, Missouri in July 1982 (Camille Chappuis). 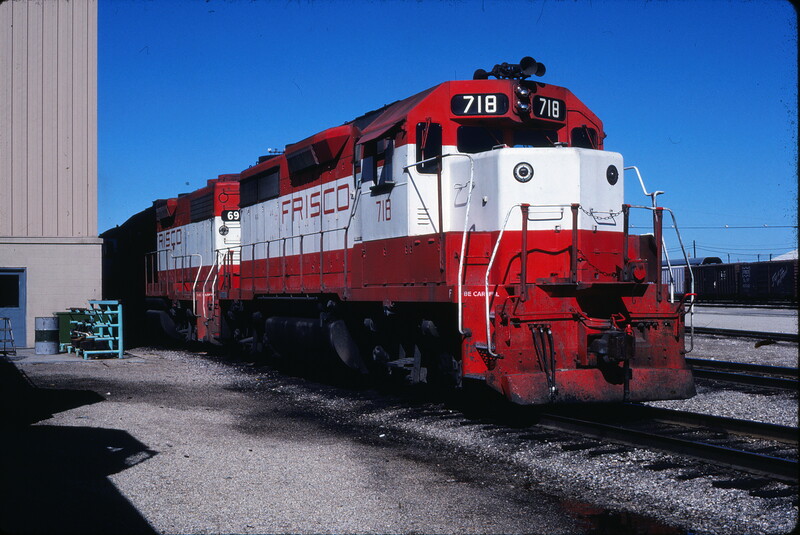 GP35 722 at Kansas City, Kansas on April 18, 1980 (John Benson). 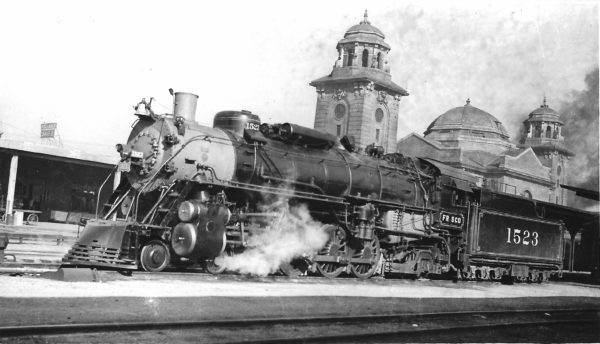 4-8-2 1523 at Union Station, Birmingham, Alabama on May 20, 1940 (Arthur B. Johnson). 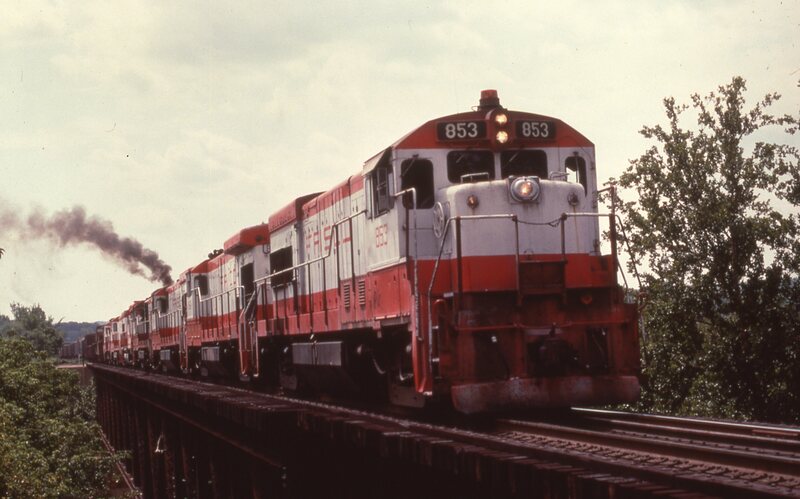 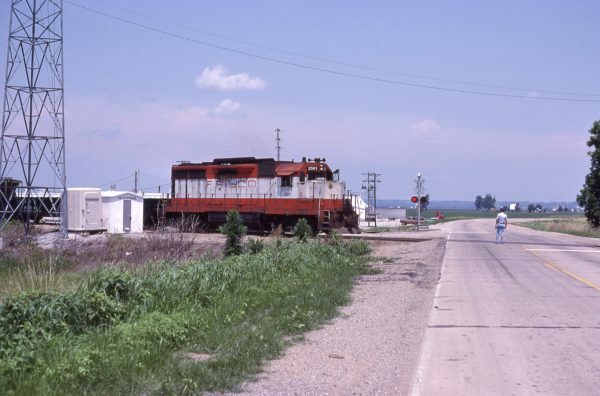 U30B 853 at Deicke, Missouri on August 31, 1980. 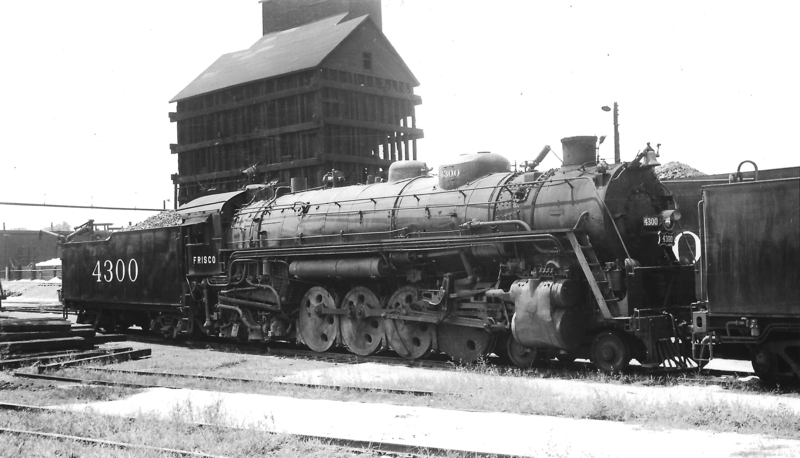 S-2 294 (date and location unknown) (Al Chione). 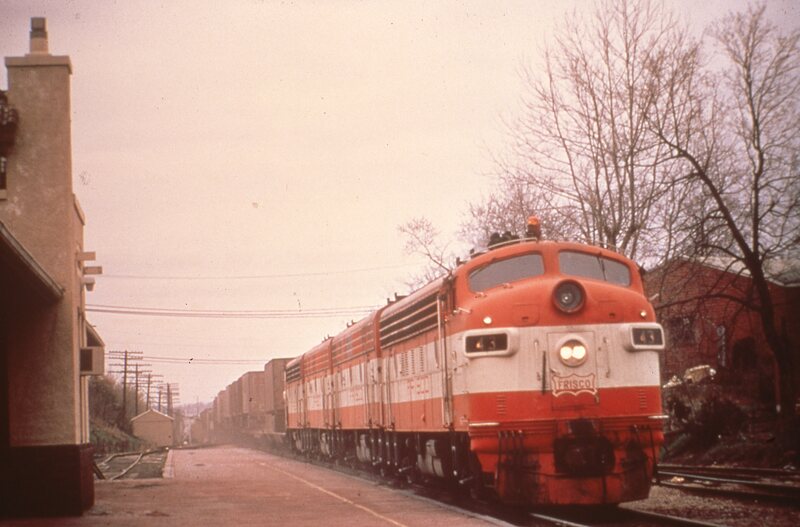 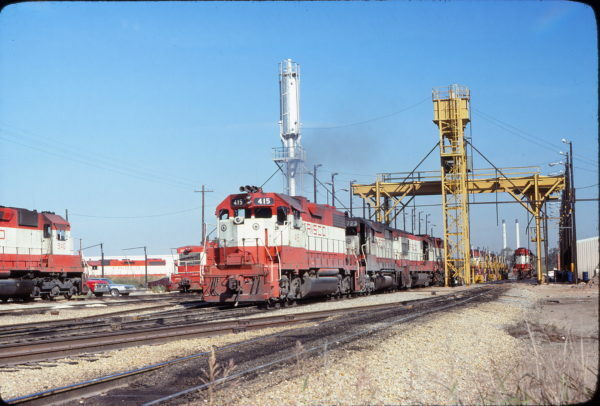 GP38-2 415 and GP35 723 at Tulsa, Oklahoma in November 1977 (Don Henderson). GP35 718 at Tulsa, Oklahoma on October 25, 1980 (Gene Gant). 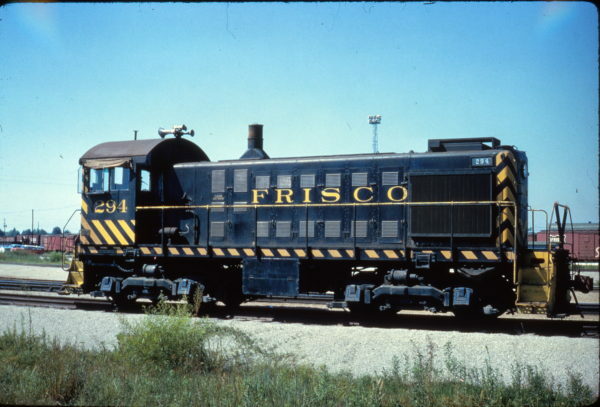 Frisco-built 4-8-2 4300 at Fort Scott, Kansas on July 17, 1949 (Arthur B. Johnson).